The four pillars of our quality philosophy! Only the very best is good enough for our guests. 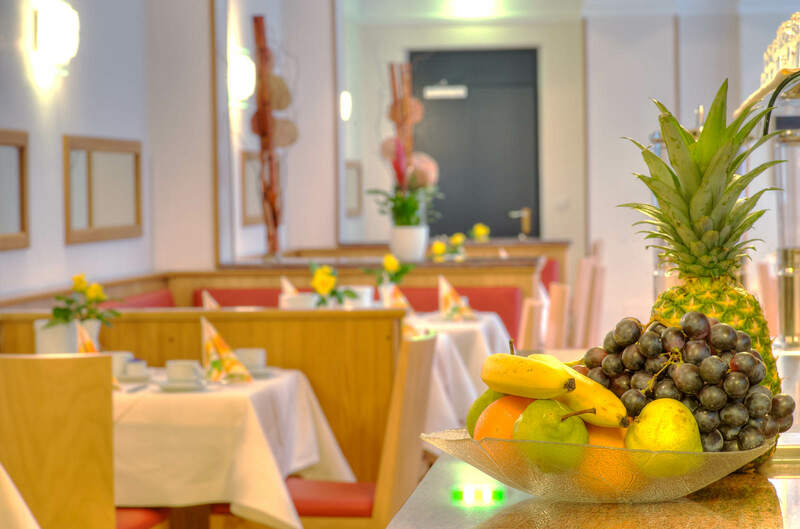 That is why quality is given the highest priority according to the philosophy of the Dürer Hotel. It already starts with the purchase of foods. We only serve our guests high-quality products from regional growers and producers, never mass-produced, industrial foods. We purchase vegetables and local fruits from Hofladen Link in Nuremberg, meats and poultry from Metzgerei Förderreuther in Fürth / Poppenreuth, baked goods from Neutor Bäckerei Pabst in Nürnberg, and gluten-free products from Bäckerei Resch & Frisch in Wels, Austria. Our eggs come from happy free-range hens in Bavaria and Baden-Württemberg, and the coffee from Burkhof comes from fair trade and organic production!